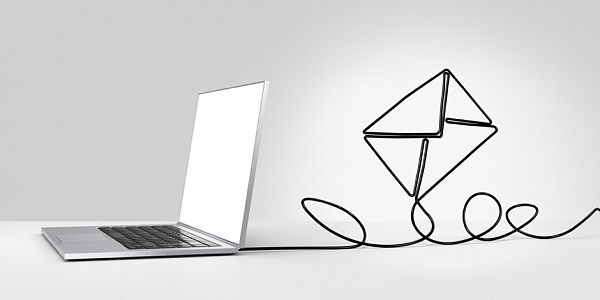 When done properly, email marketing campaigns have a lot of potential. Actually, they seem to be beating SEO, pay-per-click and content marketing. However unbelievable the statement, the ever-growing effectiveness of this powerful method is backed up by statistics. Need we say more? Email has made a big comeback to the marketing world, and the main “culprit” for that is automation. Due to their cutting edge methodology, email workflows are currently the most potent solution for generating and nurturing leads and re-engaging both indecisive prospects and past customers. If in doubt, email workflows are nothing less than a series of previously written and designed messages, automatically sent to a lead or a customer, once he or she makes a touch point with your brand – downloads content, or subscribes to your blog or website, or converts into a paying customer. Here’s why you should consider employing them and how. The customer acquisition lifecycle begins when a landing page visitor turns into a lead. The transition happens at the moment when a stranger who came to your website or blog to casually browse makes a decision to subscribe, thus filling a couple of required pieces of information, including an email address. At that point, a visitor makes the first touch point with your company and shows interest into your products and services. The subscriber welcome workflow is designed to reward that interest. An email is then automatically sent to your newly acquired leads, making them aware, in a friendly but professional way, that they are gladly welcomed, thus letting them know that you are competent in meeting their specific demands and informing them about content or offers that might delight, educate, or convince them to turn into regular customers. That way, leads will understand how appreciated their interest in your business really is. Lead generation is not where your care and attention should stop; the follow-up process is called lead nurturing, and it implies keeping the prospect excited about the services you can provide as well as encouraging them to move further with your brand and, eventually, join the sales funnel. It’s important, however, not to appear unsubtle or pushy, which is why studying the prospects’ subscription info is of the utmost importance. By doing so, you can slightly modify your previously automated emails and custom-tailor them to their needs and preferences, or simply send a default one that fits the prospects’ requirements. For instance, if downloading one of your ebooks was what led them to subscribe, the email should recommend additional material of the same form or topic. It’s a way of saying “You’re valued enough not to be forgotten and we hope you won’t forget us too”. While a lead nurturing email should be sent a couple of days after the subscription greeting, the re-engagement workflow is designed for a different purpose. Once generated, a prospect can eventually move forward with your brand and turn into a “hot lead”, which is only a step away from becoming a buyer, or they can decide to give you the silent treatment and turn “cold”. If so, your next step should be warming them up with a friendly reminder. Re-engagement emails do exactly that – basically, these messages should take a slight change in direction and offer something new that should awake a lead’s interest and reactivate your old customers once again. Most commonly, that is an update about the company’s undertakings, a refreshment that could uplift their purchasing spirit or, in a different direction, a survey for prospects to fill up and give feedback that will, in return, make you understand why the lead hasn’t cozied up with your brand yet. Unlike the first three, the upsell workflow strategy is developed for already buying, but passive customers. As such, these emails are to be sent to those who have made a single or a couple of purchases in the past, but for some reason, decided to take a break from their shopping spree. In terms of email workflows, upselling is a necessary method for converting one-time customers into regular ones. The most effective way of doing so is by reaching out to statistics and comparing a “dormant” customer to others who have made the same purchase(s), but continued to acquire your goods and services. These will give you an insight into what that customer is most likely to buy next, despite the delay, so that you can send him or her that exact offer via an upsell email. Hopefully, this tactic will shake inactive buyers up and remind them that you’re still there. If there’s one thing sellers dread the most, it’s being notified about an abandoned cart. Although a common occurrence in the ecommerce world, such customer behavior is so discouraging exactly because it’s often bewildering – customers browse, drop a couple of items into the cart and, just when the deal should be finally closed, they retreat from the site. The reassuring fact, nevertheless, is that when re-marketed, abandoners can spend up to 55% more than they intended to. That’s exactly where abandoned cart workflows come to the rescue. The cart is then being attached to an email and sent to remind potential customers of their shopping choices, thus persuading them to carry on with a purchase in case of indecisiveness. Similarly, but even more effectively, an abandoned email can present buyers with an additional offer – a limited discount or a promotional freebie – they can be awarded with it if they choose to make a purchase after all. As a good ROI technique, the abandoned cart workflow is, to say the least, an outstandingly effectual one. If statistics are to be believed, and they certainly are, 95% of companies that have employed automation as part of their emailing routine, have already made the best out of this marketing strategy. Follow their steps, and you’ll too notice a difference by the end of the fiscal year. Bitrix24 is not just CRM and lead management software, with Bitrix24 you can create e-mail marketing campaigns, automatically distribute leads, create custom workflows, train your sales force, manage partners/dealers, collaborate and do much more. Use promocode TIP10 when registering your free Bitrix24 account to get extra 10GB.